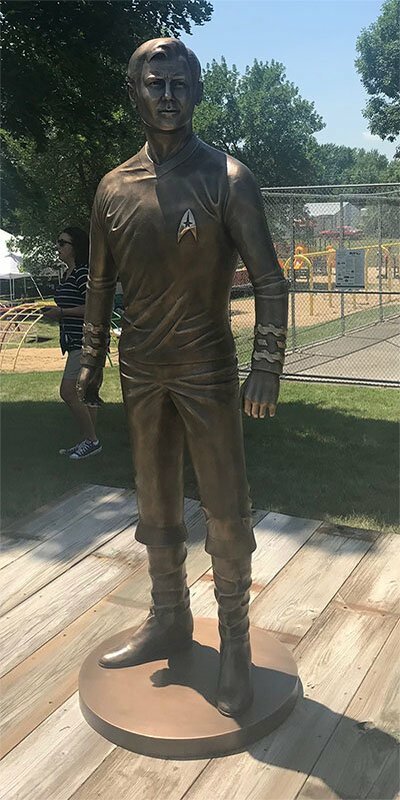 During Trekfest XXXIV in Riverside, Iowa, a new statue was unveiled that pays tribute to Captain James T. Kirk. 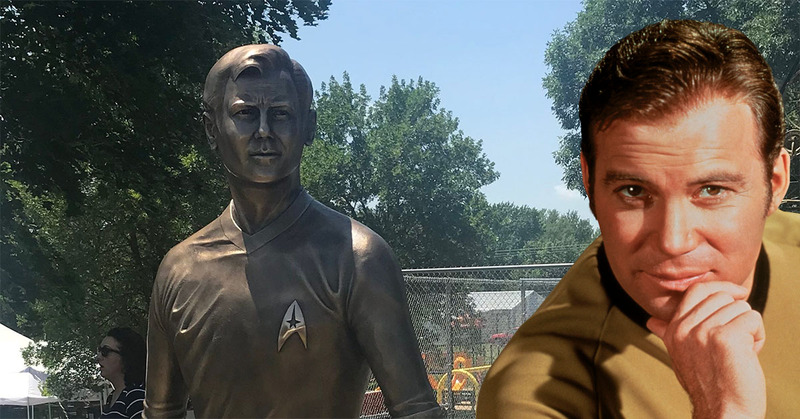 The statue is a life-sized bronze model of the Star Trek icon, and its the product of artist Jurek Jakowicz of Sioux Falls, Sout Dakota, and a slew of Trek fans in the Iowa community and beyond. The idea for the statue, though, was sparked by a former Riverside councilman Steve Miller, who had a bigger vision for his town: to make it the properly sanctioned future birthplace of Captain Kirk. His efforts began in 1985 when he got in touch with Star Trek creator Gene Roddenberry, to ask if he would sign off on Riverside as Kirk's official hometown. Roddenberry called the idea "enterprising" and gave Miller the OK.
Years later, Miller got to work on achieving another goal to really cement the town's Trek identity, a statue of Captain Kirk in the middle of one of Riverside's community hubs, Hall Park. That's where you can find the Captain Kirk statue today, thanks to community and fan donations to foot the bill for the $30,000 to get it made, but also thanks to William Shatner himself, who approved the statue the use his famous likeness after meeting with Miller in 2004.